Is it possible to truly love your job? To wake up every morning with endless excitement and drive? To live your passion every day, and to see that passion grow through the years – knowing you nourished it into something so much greater than yourself? There may be one career on this planet whose employees would say they don’t need that second cup of coffee to get through the day, or to count down the hours until the end of their workweek. Welcome to the life of a Camp Jabulani Elephant Keeper. The elephant herd at Camp Jabulani needs a lot of “TLC”, and taking care of 15 elephants (including bulls with big personalities, growing babies and rambunctious teenagers) is hard work. It calls for a special group of people with a lot of patience and skill. 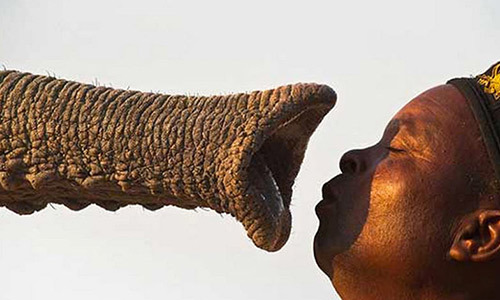 At Camp Jabulani, we are very grateful to say that we have been blessed with the best elephant keepers in the world. These men come from different regions in Africa, ranging from Zimbabwe to Cape Town to Mozambique, all with years of experience raising and living with elephants. We introduce you to our extended family…. 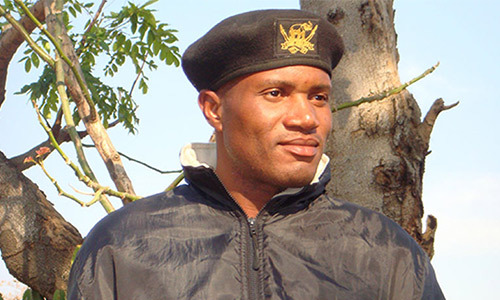 Our Elephant Manager is Matipedza Tigere. 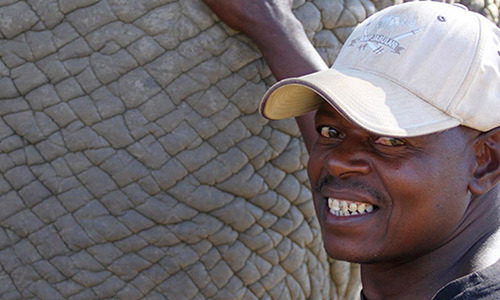 He’s been working with elephants since he was 18 years old. 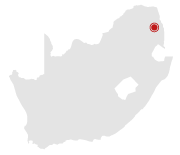 He has a particular affinity with Jabulani, as his journey in life is similar – he too lost both parents at a very young age. 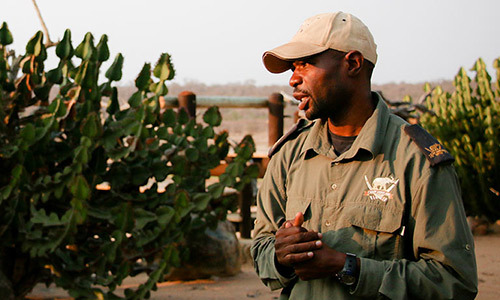 Isaac Mathole shares management responsibilities with Tigere, and has a passion for meeting guests from around the world, as well as tracking – particularly with Jabulani and Somopane. Joshua Dube, Stavros Chakoma, Israel Shambira, Liverson Sande, Owen Dube, Simbarashe Ururi and Tichaona Dube make up our Senior Elephant Keeper Team. Collectively they have 137 years worth of experience with elephants, and all have been with us since Camp Jabulani opened. Listening to Joshua speak of the day he moved with the elephants from Zimbabwe (“the day they escaped their death”, says he) in trucks from Chinoyi to Hoedspruit is a riveting and humbling experience. Click here to read more about Joshua. Stavros will never tire of walking with the elephants, and admits that there is no other way he would choose to spend every second of his day. He admits that this is his life’s vocation. Click here to get to read more about Stavros. This team is made up of Emmanuel Dube, Kenneth Shambira, Blessmore Gwerere, Last Scholar, Foster Timba, Godknows Chivero, Colben Mogakane, Samson Hwato, Matome Leshabane, Yosiya Hando, Clever Magiriva, Kevin Mwanje, Kevin Sinjani, George Zulu, Cedric Mabotha, Forbes Sampanya, Shepherd Nkomazana and Benjamin Nyasochi. This team takes care of the elephant stables. They are on hand to clean, clear, stock and maintain this massive camp that has been specially designed for the Jabulani herd. Each morning, these men and women rise early with the keepers to get to the stables as the elephants begin to wake. As the herd travels off with their keepers for the day, the caretaking staff stay behind to do ‘the dirty work’, cleaning up heap after heap of elephant dung. Although this may seem to be a thankless job, the elephants could not be more appreciative of the immaculate space they return to at night. Every morning the keepers wake before dawn to head off to the stables to wake the elephants from their slumber – they work in shifts to ensure the elephants are never left alone in the bush. As they walk with the herd to that morning’s browsing spot, you’ll find them gently coo’ing to the young teenagers – always a little groggier than the adults when it comes to early morning wake up calls (probably from the mischief engaged in the night before). As they reach their browsing spot, the elephants’ excitement becomes tangible as they wander off into the thick bush to find fresh shrubbery to eat. Just like some of us when it comes to meal time, the elephants are much more concerned with finding the best thing on ‘the bush menu’ than worrying about their surroundings. It is therefore up to the keepers to wade their way through the thick bush, among prickly buffalo thorn bushes and through large spider webs, to find each and every herd member – it’s their job to guarantee their safety. They work tirelessly, walking back and forth between the animals, but always with a respectful distance so they may eat in peace. After several hours of browsing, the keepers lead the elephants to one of the watering holes for the their favourite time of the day – swim time! Here you’ll find the keepers keeping a close eye on the teenagers as they push and play with their brothers and sisters in the water. Even the mighty Sebakwe himself turns into the child he is at heart, cannon balling himself into the water (and invariably splashing the keepers as he goes). It’s a special time to witness as the men laugh, calling to the elephants and joking with them from the edge of the waterhole. Swim-time over, the keepers bring the herd deep into the bush again for some rest, relaxation and … more eating! After a long day in the bush, the keepers lead the sleepy elephants back to the stables for a good night’s rest. They make for a spectacular silhouette as the sun begins to set, dwarfed as they walk alongside the elephants, singing songs to one another, and celebrating another beautiful day coming to its end – exhausted but satisfied. Another day fully lived and treasured.